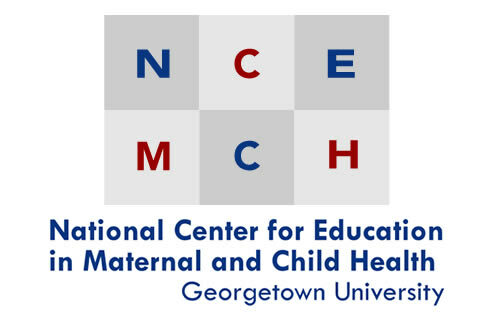 Georgetown University's MCH Navigator, the National Maternal and Child Workforce Development Center, and the National Center for Education in Maternal and Child Health are pleased to present this spotlight of online trainings and resources for use by the Title V workforce in approaching diversity as a way to address health disparities, health equity, and removing barriers to care. Issues focused on diversity and health equity are woven into the MCH Leadership competencies, which form the structure of the trainings listed below. Further, the Division of MCH Workforce Development supports programs, approaches, and resources to prepare and empower MCH leaders from diverse communities to promote health equity, wellness, and reduce disparities in health and health care. These approaches augment the HHS Action Plan to Reduce Racial and Ethnic Health Disparities, which promotes integrated approaches, evidence-based programs, and best practices to reduce these disparities in the context of Healthy People 2020 and other national initiatives to improve health equity. The National MCH Workforce Development Center further integrates health equity as a cross-cutting theme in its core services and topics. Addressing Health Coverage Inequities among CSHCN in Your State. Date Developed: 06/20/2016. Source: Catalyst Center, Boston University School of Public Health. Topics: Insurance, Children and Youth with Special Health Care Needs. Audience: Title V, Medicaid, Family Leaders, pediatric providers, etc. Format: Archived webinar. Length: 60 minutes. Advancing Racial Equity and Engaging the Community's Voice. Date Developed: 06/14/2016. Source: KUOW Public Radio. Presenter: Rev. Starsky Wilson. The presenter discusses how to get to the root causes that lead to unrest in Ferguson after Michael Brown's death. Topics: Collective impact, Community engagement. Audience: Broad audience. Format: Podcast. Community Engagement Matters (Now More Than Ever). Date Developed: 03/07/2016. Presenter: Michael Acfee. Topics: Health equity, Community engagement. Audience: Broad audience. Format: Video lecture. Length: 90 minutes. Confronting Power Dynamics and Engaging the Community's Voice in Collective Impact. Date Developed: 06/08/2016. Source: Collective Impact Forum. Topics: Collective impact, Community engagement. Audience: Public health practitioners. Format: Video presentation. Length: 48 minutes. 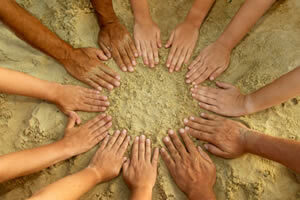 Cultural Diversity, Health Disparities and Public Health. Date Developed: 12/28/2007. Source: Alabama Public Health Training Network. Presenter(s): Lisa C. Gary, PhD, MPH. Format: Video Webinar. Diversity and Cultural Competency in Public Health Settings- Basic Level. Date Developed: Unknown. Source: South Central Public Health Partnership. Presenter(s): Wm. Marty Martin, PsyD, MPH, MA, SPHR. Format: Video Webinar. Diversity and Health Equity in the Maternal and Child Health Workforce: A Resource Guide to Key Strategies and Actions for MCH Training Programs. Year Developed: 2016. Source: U.S. Maternal and Child Health Bureau. Presenter(s): Lauren Raskin Ramos, MPH, Denise Raybon, MPH, Suzanne Bronheim, PhD, and Tawara Goode, MA. Type: Video. Level: Intermediate. Length: 31 minutes. Diversity Leadership: A Strategic Approach. Date Developed: Unknown. Source: South Central Public Health Partnership. Presenter(s): Marty Martin, PsyD. Type: Online Course. Level: Intermediate. Length: Self-paced. Equity as the Soul of Collective Impact. Date Developed: 06/07/2016. Source: Collective Impact Forum. Topics: Collective impact. Audience: Public health practitioners. Format: Video presentation. Length: 100 minutes. Health Impact Assessment. Date Developed: 08/18/2016. Topics: Health impact assessment. Audience: Public health practitioners. Format: Video. Length: 18 minutes. The Intersection of Cultural Diversity, Health Policy Development and Policy Analysis. Date Developed:Unknown. Source: South Central Public Health Partnership. Presenter(s): Dr. Lisa C. Gary, PhD. . Type: Online Course. Level: Introductory. Length: Self-paced. Moving Equity from Theory to Practice. Date Developed: 10/11/2016. Source: Collective Impact Forum. Topics: Collective impact. Audience: Public health practitioners. Format: Archived webinar. Length: 85 minutes. Determinants of Health: A Framework for Reaching Healthy People 2020 Goals. Date Developed: 9/23/2010. Source: The Office of Disease Prevention and Health Promotion (ODPHP), U.S. Department of Health and Human Services. Presenter(s): n.a.. Type: Video. Level: Introductory. Length: 5 minutes. Social Determinants of Health Disparities: Moving the Nation to Care about Social Justice. Date Developed: 1/1/2012. Source: University of North Carolina Gillings School of Global Public Health. Presenter(s): Camara Phyllis Jones, MD, MPH, PhD. Type: Video. Level: Introductory. Length: 120 minutes. The Weathering Hypothesis Framework and the US Racial Health Disparities. Date Developed: 5/1/2012. Source:Robert Wood Johnson Foundation Health and Society Scholars Program, University of Michigan School of Public Health . Presenter(s): Margaret Hicken, MPH, Ph.D.. Type: Narrated Slide Presentation. Level: Introductory. Length: 21 minutes. For a full listing of learning opportunities with annotations from the MCH Navigator database, click here. Collecting the Data: First Steps in Achieving Health Equity. Date Developed: 10/17/2013. Source: School of Public Health, University at Albany, State University of New York. Presenter(s): Nirav R. Shah, MD, MPH; Marcia J. Wilson, PhD, MBA; David Zingmond, MD, PhD; Steven M. Safyer, MD; Dennis Whalen. Type: Video. Level: Intermediate. Length: 90 minutes. Culture and Health Literacy: Beyond Access- Communication and Its implications for Health Disparities. Date Developed: 2010. Source: University of Minnesota Centers for Public Health Education and Outreach. Presenter(s): K. Viswanath. Type: Video Webinar. Level: Introductory. Length: 30 minutes. Accompanying case studies. Developmental Health and the Life Course. Date Developed: 2011. Source: Maternal Child Health Life Course Research Network (MCH-LCRN). Presenter(s): Clyde Hertzman, PhD. Type: Video Webinar. Level: Intermediate. Length: 60 minutes. Preparing for the Next Decade: A 2020 Vision for Healthy People. Date Developed: 9/10/2012. Source: Healthy People 2020. Presenter(s): Howard Koh, MD. Type: Video. Level: Introductory. Length: 4 minutes. Training Brief on Cultural Competence (MCH Leadership Competency 7). AMCHP. Social Justice and Equity. Pulse Newsletter, May/June 2018 Issue. Collective Impact Forum. Is Collective Impact Incompatible with Equity? Blog post describing reflections on whether collective impact approaches actually advance equity, and questions that collective impact implementors can ask themselves to think about that question deeply. Many of the questions are central to community-based participatory research. Topics: Collective impact, community engagement. Audience: Public health practitioners. Collective Impact Forum. How can Evaluators Be Effective Allies to LGBTQ+ Communities? Blog – "Suggestions to help cisgender heterosexual allies support lesbian, gay, bisexual, transgender, queer or questioning, intersex, and asexual (LGBTQ+) communities in culturally responsive evaluations. Allies who seek to address LGBTQ+ needs should consider the points listed in the blog post." Topics: Evaluation, LGBTQ+, Audience: Public health practitioners. Collective Impact Forum. Collective Impact Principles of Practice "Informed by lessons shared among practitioners who are implementing collective impact in the field, we outline the Collective Impact Principles of Practice, a new resource that we believe can guide practitioners about how to successfully put collective impact into action." Topics: Collective Impact, Audience: Public health practitioners. AMCHP. Health Equity in Workforce and Leadership Development Summary of Dr. Joia Crear-Perry's talk at AMCHP's 2017 Leadership Lab Launch Meeting. She defined "birth equity" and outlined 3 main areas where MCH could work to promote birth equity. Topics: Health equity. Meeting the Health Equity Challenge: State Case Studies – ASTHO report. Assessing readability. Microsoft word tool. Plain language materials | Tips for reporting data. CDC. Health literacy tips – plain languages, images, and videos. Health Literacy Consulting. Health literacy tips – plain languages, images, and videos. Language – When translating into different languages, “cultural translation” is needed to make sure the meaning isn’t lost in translation. Be sure that whoever is translating has first hand knowledge of the language and culture that the information is being translated into. Probably need to ask for feedback on translated materials. Frameworks institute. Free “Learn to Frame” resources. Using visuals to make a point. National Standards for Culturally and Linguistically Appropriate Services in Health and Health Care. Centers for Disease Control and Prevention. Atlanta: U.S. Department of Health and Human Services; 2008. Evaluation Guide: Fundamentals of Evaluating Partnerships. “CDC developed a Guide to Evaluating Partnerships; a useful tool for identifying success factors in partnerships and how to measure them.” (SNAP-Ed federal evaluation guide). Topics: Evaluation. HRSA[AHRQ]. Clinical-Community Relationships Measures Atlas (CCRMA). Includes measures and tactics to evaluate programs based on clinical-community relationships for the delivery of clinical preventive services. Topics: Evaluation. AMCHP. Life Course Indicators Project. The Life Course Indicators project at AMCHP is an interactive approach to look at various indicators tied to health equity (for ex: concentrated disadvantage) and the impact on individual health throughout the life course. Topics: Life course, Audience: Public health practitioners. Catalyst Center, Boston University School of Public Health. Health Inequities and Children with Special Health Care Needs. While uninsurance among children with special health care needs (CSHCN) in the U.S. generally is low, several subgroups are less likely to be insured and may be at the greatest risk for adverse health effects associated with uninsurance. This fact sheet explores the issue of health inequities and CSHCN. Topics: Insurance, CYSHCN. Audience: Title V, Medicaid, Family Leaders, pediatric providers, etc. Immigrant Children with Special Health Care Needs and the Affordable Care Act.. Almost 25% of all children in the U.S. are immigrants. Immigrant children and citizen children in mixed-status families are more likely than non-immigrant children and children in families where all members are citizens to lack health insurance. Topics: Insurance, Children and Youth with Special Health Care Needs. Audience: Title V, Medicaid, Family Leaders, pediatric providers, etc. Catalyst Center, Boston University School of Public Health. Low-Income Children with Special Health Care Needs and the Affordable Care Act.. Uninsured low-income CSHCN are less likely to have a usual source of care and are more likely to have unmet needs for routine medical and dental care than their insured counterparts. Unmet health care needs can be detrimental to any child; however, for CSHCN, who require more health-care services than their typically developing peers, barriers to needed health services – such as a lack of health insurance – can have long-term health consequences. Topics: Insurance, Children and Youth with Special Health Care Needs. Audience: Title V, Medicaid, Family Leaders, pediatric providers, etc. Lu and Halfon. Racial and Ethnic Disparities in Birth Outcomes: A Life-Course Perspective. Academic commentary about applying a life course perspective to understanding disparities in birth outcomes, such as LBW and VLBW. Topics: Disparities, Determinants. Audience: Researchers, practitioners. Special Olympics. Health & Intellectual Disability. Fact sheet explaining disparities that disproportionately affect people with intellectual disabilities and health barriers at society, home and community, and individual levels. Annie E. Casey Foundation. Race Equity and Inclusion Action Guide: 7 Steps to Advance and Embed Race Equity and Inclusion within your Organization. 2014. Diversity and Inclusion Initiative – Third Sector New England. Step-By-Step: A guide to achieving diversity and inclusion the workplace. Steps to promoting diversity and an inclusive environment in the workplace. Topics: Diversity, Organizations. Audience: Nonprofits and other organizations. Catalyst Center, Boston University School of Public Health. Health Care Coverage and Financing for Children with Special Health Care Needs: A Tutorial to Address Inequities. Certain vulnerable subgroups of children with special health care needs (CSHCN) face underlying structural disadvantage in terms of health care coverage. Differences exist within the population of CSHCN based on race, ethnicity, income, immigration status, language, and level of functional difficulty. This tutorial clarifies the language used to describe these differences and provides tools and examples of policies, programs, and partnerships that users can adopt in their states to improve access to coverage and financing of care for the most vulnerable children. Topics: Insurance, Children and Youth with Special Health Care Needs. Audience: Title V, Medicaid, Family Leaders, pediatric providers, etc. Institute for Healthcare Improvement (IHI). Achieving Health Equity: A Guide for Health Care Organizations. White paper on health equity from IHI for health care systems/partners. Topics: Health Equity. Audience: Health care system partners. MCHB. MCHB Health Equity Blueprint. MCHB's overview of and suggestions for health equity. Topics: Health equity. Audience: Public health practitioners. MCH Workforce Performance Center at Altarum Institute, in consultation with the Georgetown University National Center for Cultural Competence at the Georgetown University Center for Child and Human Development. Diversity and Health Equity in the Maternal and Child Health Workforce: A Resource Guide to Key Strategies and Actions for MCH Training Programs. Steps for increasing diversity in the MCH workforce, including vignette examples. Topics: Diversity, Organizations. Audiences: MCH Leaders. USAID and MCHIP. USAID checklist for health equity programming. The following is a checklist that you can use either when designing a program to guide your thinking about health equity or in the middle of project implementation to refine your response to health inequities. This checklist will help identify gaps in the details needed for health equity programming and communicating about the equity approach. Topics: Health equity. Audience: Public health practitioners. "A Strategic Approach to Public Health Workforce Development and Capacity Building"
Measures and evaluation: Kogan, et. al. A New Performance Measurement System for Maternal and Child Health in the United States. Description of new national performance measures (NPMs) and national performance outcomes (NPOs) in MCH, and existing data sources that align with them. Includes description of process of developing those measures and outcomes and how they differ from previous set of measures. Topic: Maternal and Child Health, Measures. Audience: Researchers, practitioners. Diez Roux. Conceptual Approaches to the Study of Health Disparities. Academic review of approaches to studying health disparities. Approaches include: the genetic model, the fundamental cause model, the pathways model, and the interactions model. Author suggests moving toward an integrative systems-based model. Topics: Determinants. Catalyst Center, Boston University School of Public Health. Disparities in Insurance Coverage among Children with Special Health Care Needs (CSHCN): How Social Workers Can Promote Social and Economic Justice. This peer-reviewed journal article provides information about CSHCN, insurance status, and associated disparities. It then discusses practice and policy initiatives that social workers can pursue to reduce these disparities, including initiatives prompted by the passage of the Patient Protection and Affordable Care Act (ACA). Topics: Insurance, Children and Youth with Special Health Care Needs. Audience: Social workers, other clinicians; anyone interested in social justice and equity for vulnerable populations. Bartick, et.al. Disparities in Breastfeeding: Impact on Maternal and Child Health Outcomes and Costs. Peer-reviewed article describing an association between sub-optimal breastfeeding rates and child health outcomes, including ear and GI infections, and potential cost savings if breastfeeding rates were 90%.Topics: Breastfeeding. Audience: Researchers, practitioners. Bylander. Healthy Futures Fund Links Housing, Health. Peer-reviewed article that describes a fund established to develop affordable housing and health care services for homeless and low-income residents in NE Washington D.C. Topics: Housing. Audience: Researchers, practitioners. Measures and evaluation: Acevedo-Garcia, et. al. The Child Opportunity Index: Improving Collaboration Between Community Development And Public Health. his article presents the newly developed Child Opportunity Index for the 100 largest US metropolitan areas. The index examines the extent of racial/ethnic inequity in the distribution of children across levels of neighborhood opportunity. Topics: Evaluation, Measures. Audience: Researchers, practitioners. Pastor and Morello-Frosch, 2014. Integrating Public Health And Community Development To Tackle Neighborhood Distress And Promote Well-Being. The peer-reviewed article "reviews recent shifts in the community development field and give examples of programs that operate at the intersection of community development, public health, and civic engagement." Topics: Community Development. Audience: Researchers, practitioners. Braveman. What is Health Equity: And How Does a Life-Course Approach Take Us Further Toward It?. "This paper aims to make explicit what these concepts (health equity and health disparities) mean and to discuss what a life-course perspective can contribute to efforts to achieve health equity and eliminate health disparities." Topics: Health equity. Audience: Academics, public health practitioners. Schiavo, et. al. Building Community-Campus Partnerships to Prevent Infant Mortality: Lessons Learned from Building Capacity in Four US Cities. Peer-reviewed article describing lessons learned from a "capacity-building and participatory planning pilot program designed and implemented in 4 US cities by Health Equity Initiative in collaboration with the OMHRC to encourage multi-sectoral partnerships, and engage local leaders and organizations in participatory planning and infant mortality prevention. Topics: Cross-sector collaborations, Infant mortality. Audience: Academics, public health practitioners. Topics: Insurance, Children and Youth with Special Health Care Needs. Audience: Title V, Medicaid, Family Leaders, pediatric providers, etc. Catalyst Center, Boston University School of Public Health. Improving Access to Coverage for Children with Special Health Care Needs in the Face of Health Inequities: Strategies Reported By Family Leadership Organizations. The Catalyst Center interviewed staff from family leadership organizations in five states to learn about the barriers underserved families face and the strategies these organizations use to address health insurance inequities among CSHCN in their communities. This policy brief describes the strategies that help promote access to coverage and financing of care among CSHCN including racial and ethnic minority children, older children, those living in immigrant families or in families in which English is not the primary language, and those with the most significant functional limitations. CDC. Integrating Equity into Essentials for Childhood. PPT - PPT presentation defining health equity, health disparities, and aligning early childhood considerations with health equity frameworks. Topics: Equity, Early Childhood. Audience: Public health practitioners. Workforce diversity. CDC powerpoint presentation – Why Diversity and Inclusion Matter in Public Health. National Association of County and City Health Officials (NACCHO). Exploring the Roots of Health Inequality: Essays for Reflection. This collection of essays examine 4 major themes: "(1) social justice, which explores the meaning and relevance of this concept as a framework for guiding public health practice and examines its central principles; (2) public health history and reform, which examines some core features since the mid-nineteenth century, and the political and ideological forces shaping its scope and boundaries; (3) racism and class structure, which is divided into two parts: the first part examines selected aspects of structural racism, the legacy of racial oppression, and its connection to poor health outcomes, and the second part examines class structure and how it clarifies the connection and importance of viewing class as a social relation of power generating differential class positions and the resulting inequitable health outcomes; and (4) knowledge: frameworks and development, which considers the relevance of frameworks, concepts, and questions for investigating health inequity, and the need for public health to work with its constituencies in the pursuit of an effective knowledge base." Topics: Health equity, Determinants. Audience: Public health practitioners and partners. King County local government. Determinants of Equity Report. Research project identifying determinants or equity and identifying measures for those determinants. Topics: Determinants. Audience: Anyone interested in identifying and measuring determinants of health equity. National Association of County and City Health Officials (NACCHO). Expanding the Boundaries: Health Equity and Public Health Practice. This report describes health equity and the history of public health, and explores social inequalities and the root causes of health inequalities as they relate to class, racism, gender inequity and heterosexism. Profiles of health equity practice are also included. Topics: Health equity, Public Health Practice. Audience: Public health practitioners and partners. Centers for Disease Control and Prevention (CDC). Morbidity and Mortality Weekly Report (MMWR). CDC Health Disparities and Inequalities Report – United States, 2013. This report provides data on a range of health indicators (including social determinants of health, health care access, behavioral risk factors, environmental hazards, mortality and morbidity), and highlights disparities. Topics: Disparities. Audience: Academics, public health practitioners. US Department of Health and Human Services. Report to Congress on Minority Health Activities. Reports on the impact of the ACA on health disparities and summarizes the activities of minority health activities. Through this report, the Office of Minority Health (OMH), U.S. Department of Health and Human Services (HHS), provides a summation of ongoing HHS efforts to reduce health and health care disparities and to advance health equity among racial and ethnic minorities and underserved populations. Topics: Disparities. Audience: Academics, public health practitioners. The Health Policy Research Consortium. Inequities in Maternal and Child Health: An Analysis of Policy, Practice, and Social Determinants over the Life-course. "This paper examines the social determinants experienced over the life-course and their influence on adverse birth outcomes for Black women." Topics: Disparities. Audience: Academics, public health practitioners. The Health Policy Research Consortium. Healthy Homes and Healthier People: How Local Authorities Can Leverage National Policy Trends to Create Healthier Homes and More Vibrant Communities.. The main objective of this paper is to examine, to the extent possible, how housing policy affects health outcomes, and to explore whether or not policy changes can sufficiently improve health outcomes relative to where people live. Geographically, we will focus our attention on Maryland, but we will lean on national trends to further inform our understanding. Topics: Housing. Bridgespan Group. Billion Dollar Bets" to Create Economic Opportunity for Every American. This report outlines unequal access to economic opportunity and suggests (philanthropic) investigates to promote economic opportunity for all Americans. Topics: Economic opportunity. Audience: Public health practitioners, philanthropists. The Ferguson Commission. Forward Through Ferguson Report. Report - "We hope this innovative report format serves as an engagement tool, wrapping each signature priority with related policy calls to action, national model examples, context and history, day-to-day implications, as well as other necessary tools and information." Topics: Equity, Policy. Audience: Broad audience. Robert Wood Johnson Foundation, the National Academies of Sciences, Engineering, and Medicine. Communities in Action – Pathway to Equity. With support from the Robert Wood Johnson Foundation, the National Academies of Sciences, Engineering, and Medicine convened an ad hoc, expert committee to consider solutions that could be identified, developed, and implemented at the local or community level to advance health equity. In the resulting report, Communities in Action: Pathways to Health Equity, the committee identifies the major elements of effective or promising solutions and their key levers, policies, stakeholders, and other elements needed to be successful. Topics: Health equity, Community engagement. Audience: Public health practitioners. Trust for America's Health. Advancing Health Equity: What We Have Learned from Community-based Health Equity Initiatives. (2018). Examples of and recommendations for community- based health equity initiatives synthesized from a convening of cross-sector leaders. MCH Workforce Development Center. Health Equity Planning Tool. The Health Equity Review Planning Tool is used when you plan and implement public health interventions. It will help you assess the potential impacts of your intervention on health equity". Topics: Health equity, Planning. Audience: MCH public health practitioners. Coalition of Communities of Color. Tool for Organizational Self-Assessment Related to Racial Equity. The Tool is designed to help you, as an organizational leader, gather a holistic snapshot of your organizations’ practices and policies as they relate to racial equity. The Tool is evidence-based and grounded in the belief that no single organization, program, or strategy will remedy our community’s inequities." Topics: Self-assessment, Organizations. Audience: Organizational leaders. Seattle Human Services Coalition's Identifying Institutional Racism project. Sample of an Equity Organizational Assessment. Example of an assessment of whether equity is a salient concept in an organization. Topics: Equity, Organizations. Audience: Public health practitioners Members of an organization. Determinants of Health and Health Disparities (Introduction to Public Health in North Carolina Training Series, Module 2). UNC’s School of Public Health. Health Equity training modules and webcasts. Center for Public Health Practice. Health Equity and Health Disparities. Center for Public Health Practice. Roots of Health Inequality. Free online course from NACCHO. Building an Inclusive, Collaborative Movement Toward Health Equity. Free online course from University of Michigan’s Public Health Training Center. Health Equity Resources. PolicyLink. Includes several modules. Health Equity Modules. Alameda County Public Health Department. Health Equity Impact Assessment Course. Public Health Ontario. Strategies to Advance Health Equity: How Health Departments Can Protect the Health of Immigrants. Free online course from Public Health Learning Center. Essentials of Health Justice: A Primer. Tobin-Tyler, E. Teitelbaum, J. 2019. Excellent, new book. Health Equity Resources. Region 2 Public Health Training Center. Georgia Health Policy Center. Rural Health. Rural health resources, including information about the Care Coordination Program. Health Resources and Services Administration, Maternal and Child Health Bureau. Diversity in MCH Training Peer Learing Collaborative. Resources from the intensive collaborative peer learning process in which a small number of highly motivated grantees are provided a structured and safe environment to address challenges to racial and ethnic diversity, health equity, and cultural and linguistic competence within their training program through learning opportunities, technical assistance, and collaboration with peers. Human Impact Partners. Health Equity Guide Webinar Series. Examples from health departments advancing health equity in their communities. National Associaion of Chronic Disease Directors. Health Equity Resources/Tools. A variety of tools and resources to aid public health professionals, policymakers, and other stakeholders in their health equity efforts. Office of Minority Health. Office of Minority Health's website. Data, resources, reports, funding, policies, and more. Topics: Determinants. Audience: Broad audience. Webinar Series (4-part series). National experts and local health departments discuss their work to advance health equity. Each webinar focuses on a set of strategic practices that health departments can take to pursue a wall-to-wall transformation of how they work internally, with communities, and alongside other government agencies. Hosted by Human Impact Partners. Over and over, health departments are asking: “What strategic steps can we take to advance health equity at our health department?” Check out the webinar materials to hear success stories from across the United States to answer this question and learn about our Health Equity Guide. Catalyst Center, Boston University School of Public Health. WORKSHEET: Putting it all together to address inequities in your state. A companion to Health Care Coverage and Financing for Children with Special Health Care Needs: A Tutorial to Address Inequities, this interactive worksheet helps users distill the information presented to identify health care coverage and financing inequities that may exist for CSHCN in their state or organization. The completed worksheet provides information that may serve as a starting point for discussions in how to address inequities for CSHCN. Topics: Insurance, Children and Youth with Special Health Care Needs. Audience: Title V, Medicaid, Family Leaders, pediatric providers, etc. Racial and Ethnic Disparities in Health Professional Resource Guide. Directs readers to a selection of current, high-quality resources about preventing, identifying, and eliminating racial and ethnic disparities in health. Health professionals, program administrators, policymakers, and researchers can use this knowledge path to learn more about health disparities, health equity, and removing barriers to care; for program development; and to locate training resources and information to answer specific questions. Resources for families. Culturally Competent Services Professional Resource Brief. Directs readers to the key national websites that cover cultural and linguistic competency and connects them to other NCEMCH resources on related topics such as minority health organizations and translation tools. Altarum Institute. 2010. Diversity in MCH training: Peer learning collaborative—Activities and preliminary outcomes of 2009-2010. [Washington, DC]: Altarum Institute. This archived webinar from December 15, 2010 discusses the MCH Training Diversity Initiative, peer learning collaborative objectives, context for addressing diversity, team strategies, and collaborative resources. Grantmakers In Health. 2012. Striving for health equity: Opportunities as identified by leaders in the field. Washington, DC: Grantmakers In Health, 29 pp. This paper, which focuses on health and health care inequities, highlights the current state of the health disparities arena; identifies key opportunities for reduction and elimination strategies, including areas of opportunity arising from key health reform provisions; and offers a set of recommendations and options for funders considering taking more actionable steps to support health disparities elimination and reduction efforts. The paper offers definitions of key terms, provides a health-equity framework, and summarizes key themes and recommendations. Sanchez K, Chapa T, Ybarra R, Martinez, Jr., ON. 2012. Enhancing the delivery of health care: Eliminating health disparities through a culturally and linguistically centered integrated health care approach—Consensus statements and recommendations. Austin, TX: Hogg Foundation for Mental Health, 28 pp. This report focuses on ways to integrate health care services in culturally and linguistically appropriate ways to racial and ethnic minorities and populations with limited English Proficiency (LEP). It includes best practices, insights, and strategies that were shared and discussed during the 2011 national consensus meeting hosted by the Hogg Foundation titled Eliminating Behavioral Health Disparities through the Integration of Behavioral Health and Primary Care Services for Racial and Ethnic Minority Populations and Those with Limited English Proficiency. The report combines research conducted by the foundation with proceedings from the consensus meeting and includes consensus statements and recommendations designed to inform a broad audience of health and behavioral health care providers, educators, advocates, consumers, youth and families, researchers, policy makers and other stake holders on health equity for all through integrated health care. The agenda for the national consensus meeting is included in the appendices. Hanlon C, Giles B. 2012. State policymakers' guide to advancing health equity through health reform implementation. Portland, ME: National Academy for State Health Policy, 35 pp. This report draws from the experience of teams of state officials in seven states that participated in the Health Equity Learning Collaborative. It highlights policy levers that can be used to advance health equity; synthesizes the work of and recommendations from participating states (Arkansas, Connecticut, Hawaii, Minnesota, New Mexico, Ohio, and Virginia); and offers considerations and key lessons that emerged from the activities of the state teams.